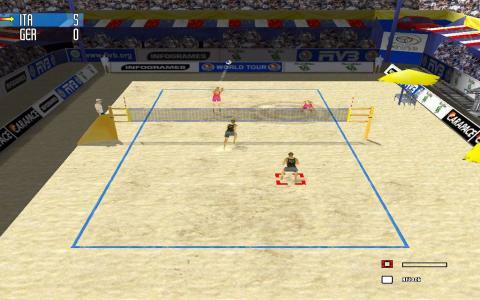 It is one of the best volley ball games which has numerous features packaged on a single platform. 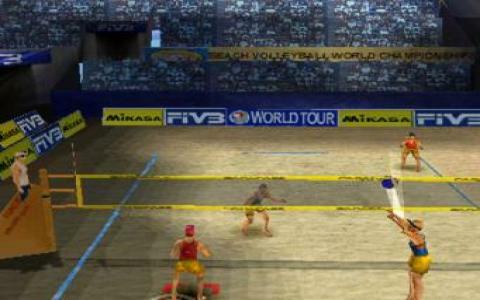 It is beach volley ball so you will see a good natural set up in the form of some very realistic backgrounds. Beaches all the world have been given in the game with very realistic simulations and some breathe taking animations. Coming towards the features of the gameplay, the dynamics involved are quite realistic and diverse and you can do all the sporting stuff such as jumping, setting, blocking, digging and spinning. All the moves are well animated and they have been synced well with the keyboard controls. The game has exhibition, tournament and practice mode. The practice mode is very good in making you grip all the moves. 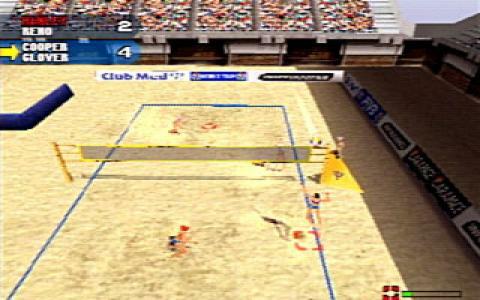 The levels of difficulty are also well drafted and this is due to the very good A1 which makes you feel like playing real beach side volley ball. The graphics in the game are very alluring and every other beach and scenario is different from each other. The moves can easily be implemented from very tough angles and that makes the gameplay quite fun. The gameplay is as well synced and thrilling as many experienced in games like Cycling Manager.